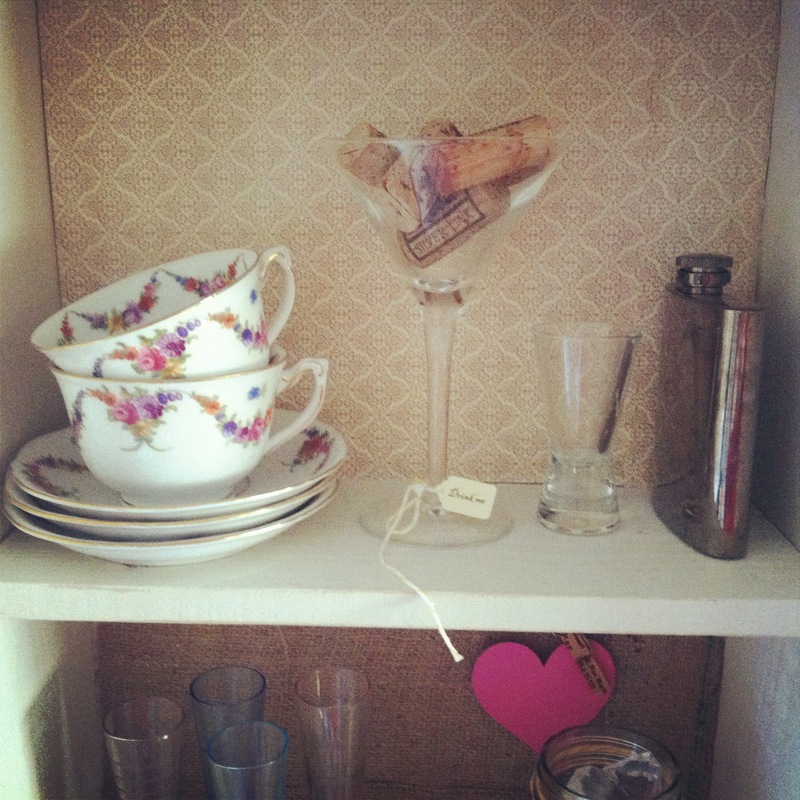 I bought this white cabinet from the Antique Fair awhile ago. I was thinking I wanted to eventually line the back of the cabinet with wallpaper or paint to make everything in the cabinet stand out more. Randomly the other night, I was going through all my wedding stuff and realized I had a bunch of left over burlap and cute paper from the wedding. So I decided to see what it would look like glued to the back of the cabinet! I didn’t have enough of the gold & cream vintage paper to line both shelves, so I used burlap for the bottom & the paper on top. I just measured and cut burlap for the bottom & did the same with the vintage paper. 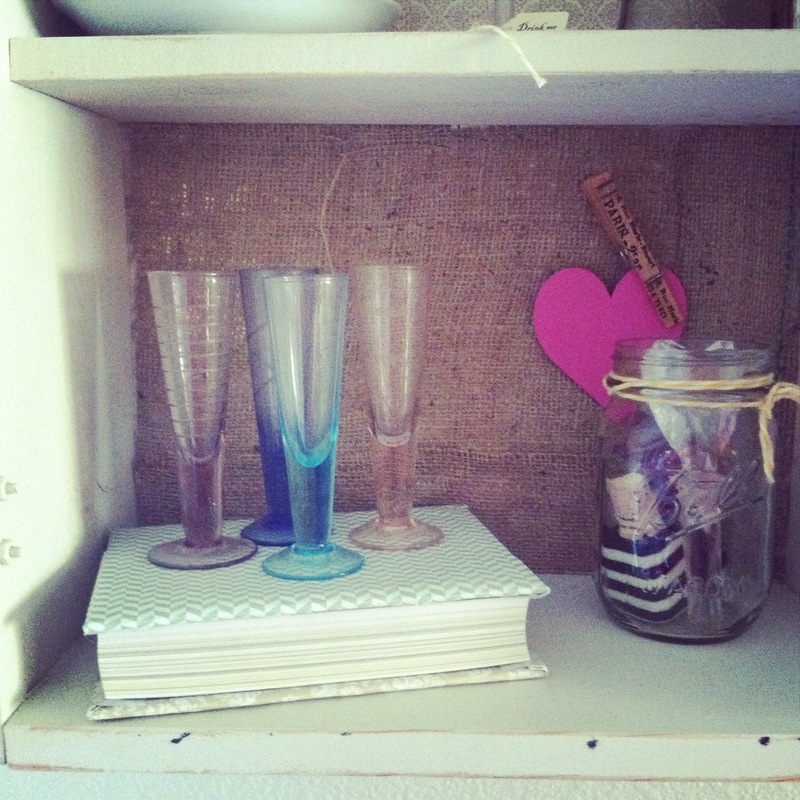 I used a hot glue gun and glued them to the back of the shelf. 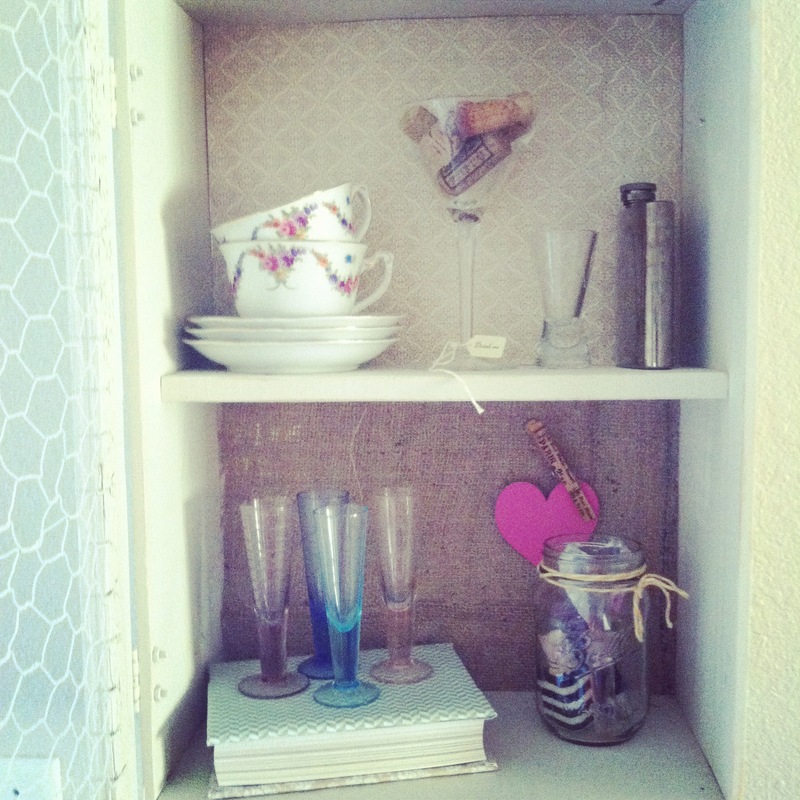 The thing I love the most is that almost everything on the shelves were used in our wedding or my bridal shower. You could also use your favorite wallpaper or whatever you have laying around the house. Even leftover fabric would work. 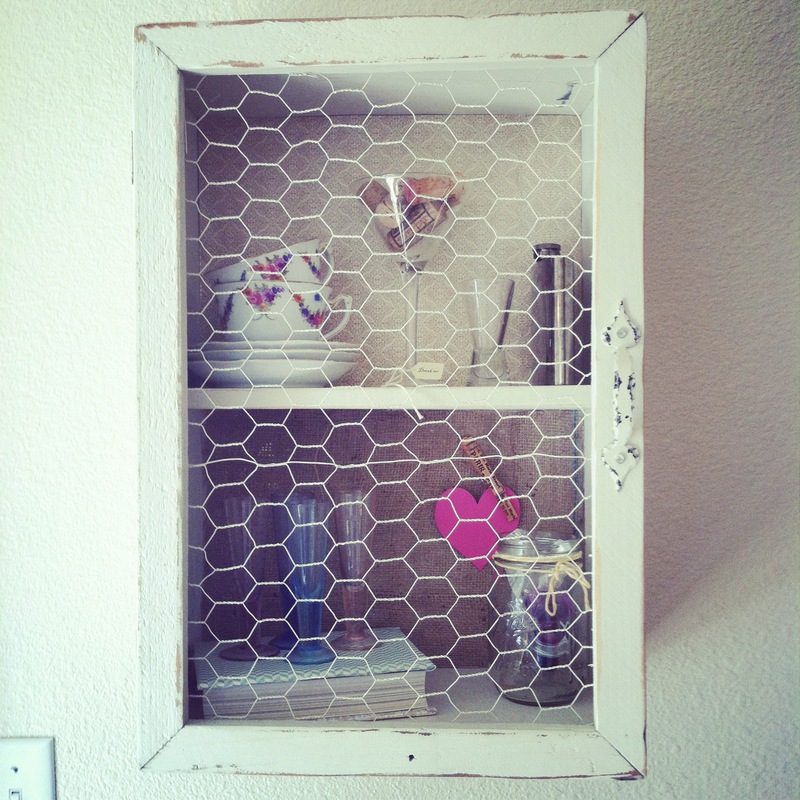 Have you done something similar to this DIY? Did you use wallpaper, paint or other? Do tell! I love getting new ideas.